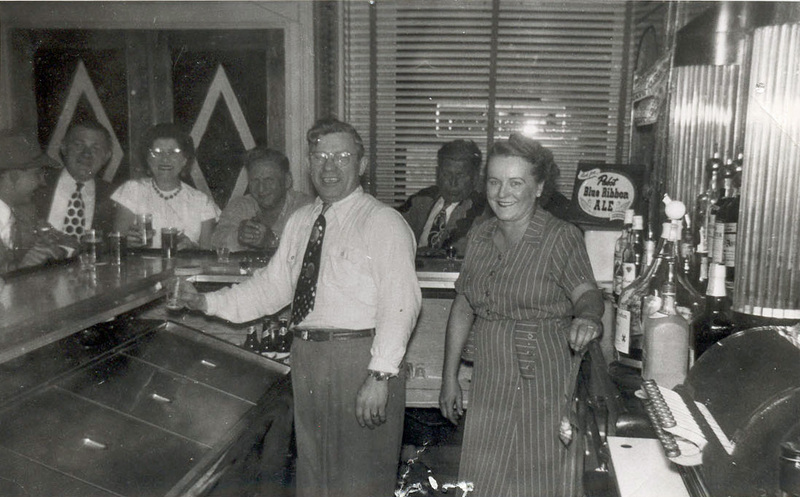 My husband’s grandparents owned a bar for many years. They made a good living at it – enough for my mother-in-law to have nice clothes and a nice lifestyle. “Bud” was actually her stepfather and she adored him. When he served in the Pacific during World War II, she sent him school pictures and wrote notes on the back until he finally came home safe. My father-in-law met my mother-in-law there. It was quite the accomplishment to marry the bar owner’s daughter! She dropped out of high school a few weeks short of graduation to marry him. I don’t know why my husband’s grandparents sold their bar, but eventually his grandfather became a security guard and was doing that when he retired. Bars could sometimes be family affairs, complete with children. Based on this and other pictures, their bar was adults only. Word for tomorrow – BLOGGERS CHOICE. If you prefer to work ahead, see the list for the week under “A Word A Day”. A brother of mine whose name is Solomon has gone by the nickname Bud for the better part of his adult life. He’s in his late 60s now. Reason for the nickname? His favorite beer was Budweiser. Thought it was interesting that you and I have Buds in our families, and they were associated with bars…or what’s sold in them.